Rose Anderson, executive director commented, "New York Festivals Radio Awards is proud to honour the World's Best Radio Programs by awarding international programming that demonstrates diversity, creativity, innovation and quality from all continents." 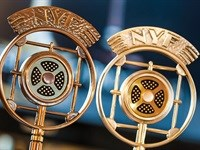 New York Festivals Radio Awards Ceremony attendees will have immediate access to NYF's e-program via their mobile device. Attendees can review all of the 2015 Radio Awards winner's information: Grand Award, Gold, Silver and Bronze Trophy-winning entries as well as Broadcaster of the Year, Production Company of the Year, and United Nation Department of Public Information Awards. For more information, go to www.newyorkfestivals.com.